Crescent’s beginner 39’’ Electric guitar is ideally suitable for the newbie who intends to play it regularly. 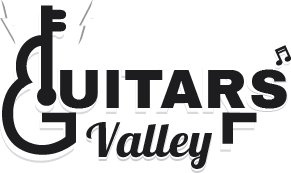 If you are looking for a much better guitar without spending money behind it at the very beginning, you can check this guitar. At first glance, you will be impressed with the design, finishing, and color. This electric guitar is standard in body and neck too as it covered the foundation with the solid body and maple neck. With a nice fretboard, it increases a wide range of impressive zone. Perhaps, you are in mess thinking too much about buying a guitar. Your concern is justified. Amidst of numerous product available in the market, how can you choose your desired instruments? This is probably a common confusion for all of the novice learners. That’s why we are here to help you decide how you will select the best musical instrument. Crescent EG-PK electric guitar is perfect in all shapes for the beginners. Before writing this review, we have considered, body, neck, sound system and other digital configuration including in it. This guitar is worth the price too. Crescent EG-PK electric guitar is a full-size electric guitar with 22 frets. This electric guitar featured a basswood body and maple neck including Truss rod also. Rosewood Fretboard allows a strong and stable foundation for the guitar. 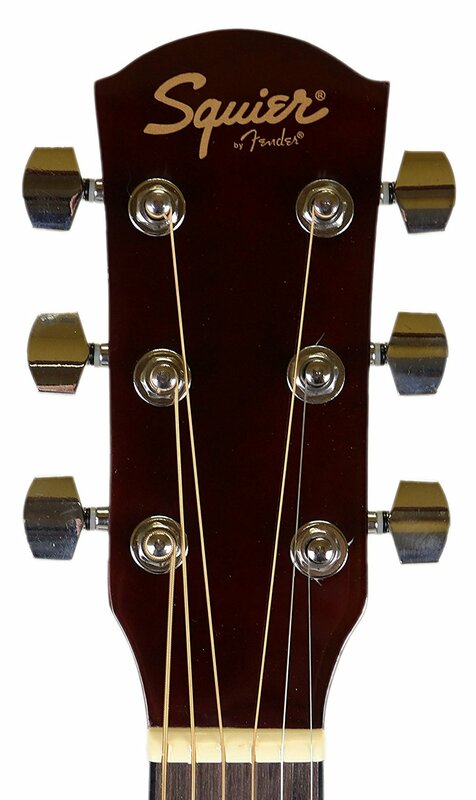 Crescent guitar includes adjustable three single coil pickups; and two tonal knobs including a single volume knob. This modern mechanism adds a special value to the sound system and configuration. 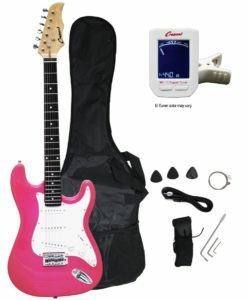 This 39-inch electric guitar offers gig bag, well-organized digital E-tuner, and tremolo bridge guitar system. Intonation is much better with smooth playability. Bridge adjustment is simple and easy to use. Worth for the price range. Strings can make you feel uneasy for sometimes. Does this electric guitar sound better? Answer: Yes. The guitar provides pleasant sound. You can perform with it in any party or concerts. In addition, you can easily carry it because it is lightweight. So, in any functional program, it won’t make you feel uneasy. Is there any output jack included with the guitar? Answer: Yes, it does hold an output jack and you can easily plug it into an amplifier whenever you want. Thank you for the question. Can you tell me what the strings are made of? Answer: The strings are basically made of metal. But you can replace the strings if you feel it change. 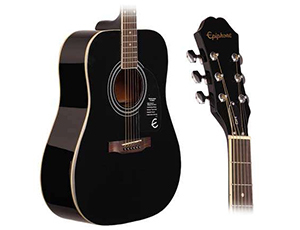 We have a detailed review of Epiphone DR-100 Acoustic Guitar, Ebony in case if you want to check that out. It’s better to take a wiser decision in buying something that is pocket-friendly in the budget as well as worthy to praise in quality too. 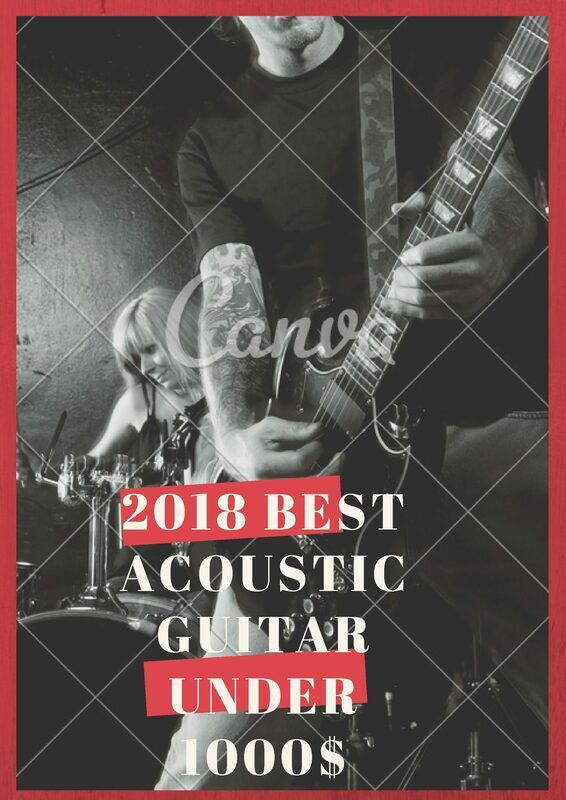 Hopefully, this Crescent acoustic guitar review will lead you to the right destination of buying a great musical guitar that adds a new shed of light in your musical journey. and a big component of folks will miss your wonderful writing due to this problem. thanks for the nice compliment, Sorry bro I haven’t any idea on this issue.